Excellent condition, no significant wear and tear. Exterior and interior of the vessel in good condition. The headliner in the berth of the boat has some minor issues but has been temporarily fixed, the seller has had no further issues with it since the repair. Upholstery was redone and is in perfect condition. Fluids changed May 2018 Holly Carbs rebuilt in June 2018 Stock #169798 Great Weekend Family Cruiser! 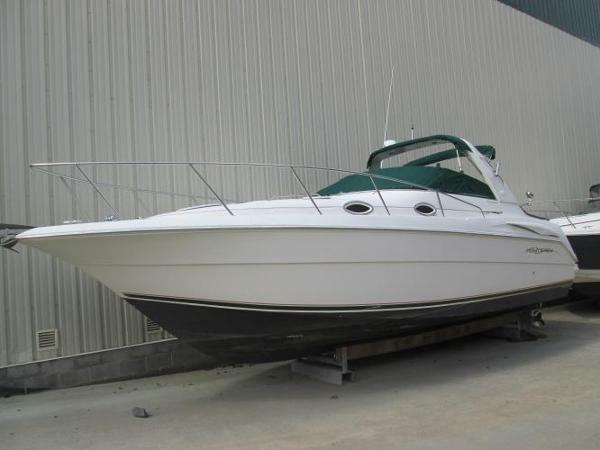 If you are in the market for an express cruiser, look no further than this 2002 Monterey 302 Cruiser, just reduced to $27,800 (offers encouraged). 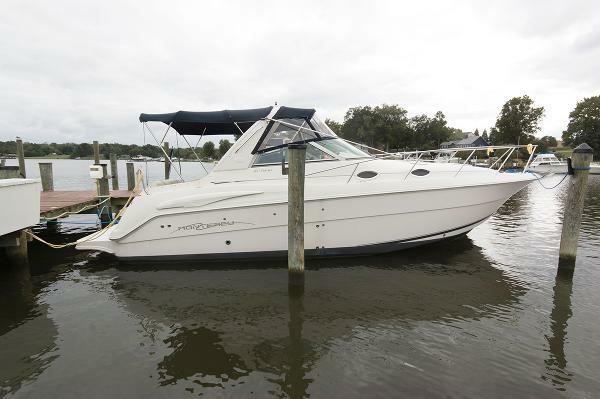 This boat is located in Richmond, Virginia and is in great condition. She is also equipped with twin Volvo Penta engines that have only 290 hours. Reason for selling is purchased a bigger boat. 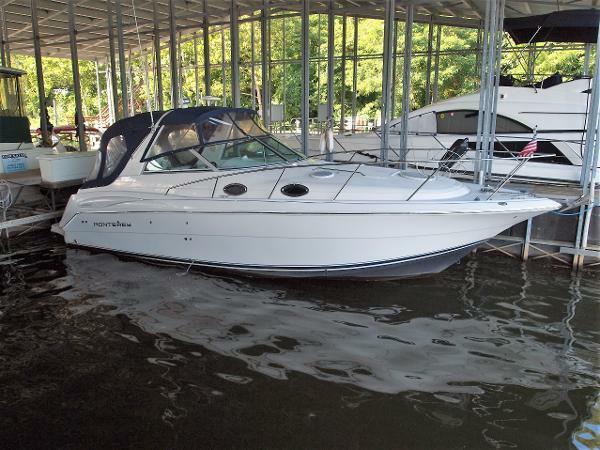 2003 Monterey 302 Cruiser 2003 30' Monterey 302 Cruiser - NEW GENERATOR IN 2014! !...NO TRAILER A handsome design, the Monterey 302 is an affordably priced family cruiser with attractive lines and a practical accommodation plan. She rides on a solid fiberglass deep-V hull with moderate beam and reverse chines to reduce spray. The 302's mid-cabin interior differs from most others in her class in one important respect: instead of being open to the salon with just a curtain for privacy, the 302's aft sleeping area is fully enclosed with a solid bulkhead and cabin door. Topside there's a double-wide companion seat at the helm, a wet bar, a removable transom bench seat and an extended swim platform. The bow area is accessed from a walk-through windshield. Additional features include a reverse arch, a transom storage locker, and a fore-deck sunpad area. This is a great boat - with the best of all worlds - open cockpit area to enjoy the sun, galley, cabin accommodations and you can hang on the hook with the convenience of your 5KW generator! And twin MerCruiser sterndrives will deliver all the power you need!! 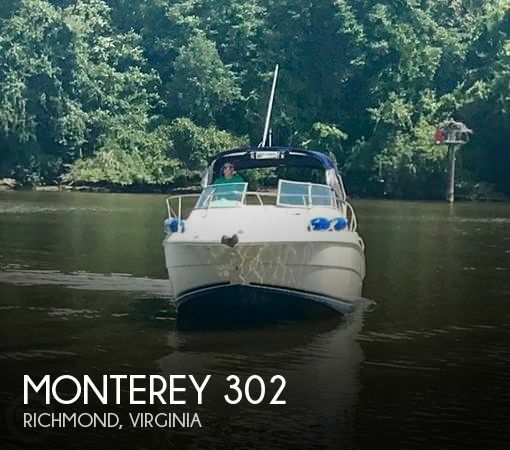 2002 Monterey 302 Cruiser As handsome as it is rugged, the Monterey 302 Cruiser boasts high performance even in strong seas. Comfortable seating abounds in the cockpit, complimented by a full wetbar. The large double helm seat offers plenty of room for comfort to choose a course and oversee the full instrument panels. Beyond the transom door, the molded-in swim platform has a recessed, telescopic, stainless steel boarding ladder and an ample transom storage compartment. Move forward through the convenient walk-through windshield, and there's even a foredeck sunpad. Below, there?s a V-berth forward, and the midcabin dinette conveniently converts to a sleeping berth. Passengers will appreciate the fully enclosed head with unique shower seat, sink, shower, and vanity storage. The handsome one-piece fiberglass galley is spacious and includes a built-in coffee maker, drawer storage, 12-volt lighting, stove, AC/DC refrigerator, and sink with faucet. The midcabin double berth has adjacent changing space concealed behind a privacy door. 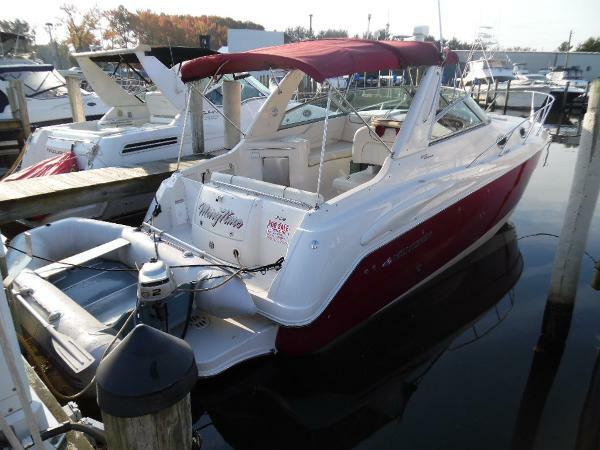 2006 Monterey 302 Cruiser Extremely clean, lift kept freshwater boat. This handsome midcabin weekender combines sleek lines, brisk performances with impressive features list. Well-appointed interior with booth style dinette, fully equipped galley and had aft-cabin privacy door rather than just a curtain. Well-planned cockpit with double-wide helm seat, removable transom seat can entertain small crowd, Note walk-through windshield, reverse arch, transom storage locker, foredeck sun pad. Brilliant red hull, AC, generator, new galley refrigerator, new water pumps for the engines this year, dingy with motor, GPS and depth finder. The owners are motivated. 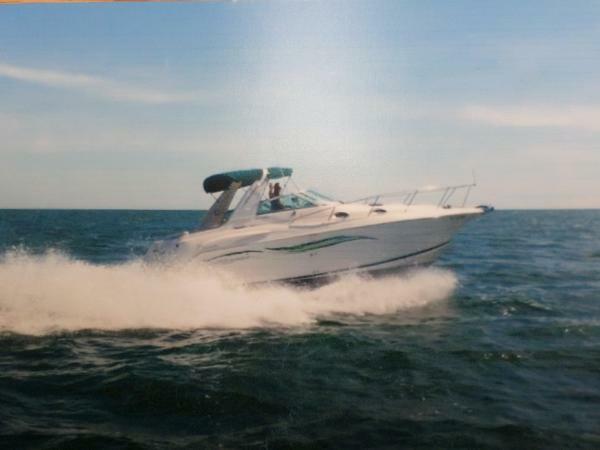 2000 Monterey 302 Cruiser Nice, fresh water example of this mid size cruiser from Monterey. The 302 Cruiser has a unique interior with a full walk-in private aft stateroom with solid bulkhead and door aft and a large curved settee/dinette forward that offers additional seating for guests by day and converts to a comfortable berth at night. This particular boat is powered by a pair of Merc 5.7L 250 HP engines coupled to Bravo 3 drives (no hour meters but owner estimates at less than 500 hours). Boat is nicely equipped including the following:T/S Merc 5.7L 250 HP w/Bravo 3 Drives (est <500 hrs)Kohler 5KW Gen Set (approx. 360 Hours)Air Conditioning w/Reverse Cycle HeatRadar ArchFull Camper EnclosureCockpit CoverWindlassCompassVHF RadioDigital Depth FinderFire Suppression System in Engine RoomTrim Tabs with IndicatorsRemote SpotlightCockpit IcemakerCockpit CarpetExtended Swim PlatformTransom ShowerForedeck SunpadSony AM/FM/CD with CD ChangerSharp Flat Panel TV in Salon110/12V Refrigerator2 Burner StoveMicrowaveCoffee MakerManual Flush Toilet with Holding Tank/Macerator If you are looking for an affordable, nicely maintained boat this deserves a look! Boat is currently located offsite so please call ahead to schedule viewings. 2000 Monterey 302 Cruiser BEAUTIFUL WELL FINISHED MONTEREY 302 EXPRESS CRUISER! LOTS OF UPGRADES! 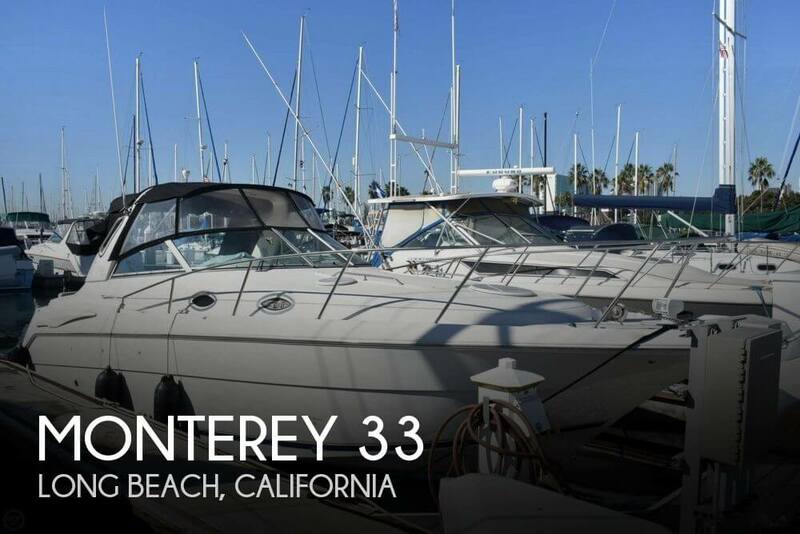 Current owner has meticulously maintained this Monterey 302 adding customized features for an even better cruising or fishing experience. Kept on a lift and under cover when not in use has ensured the cockpit and interior upholstery retain its showroom appearance. 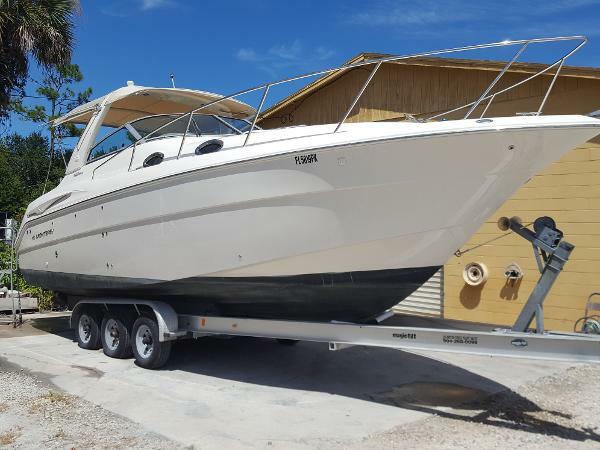 Mechanic by trade, owner regularly serviced the two Volvo Penta 260 HP engines, outdrives and other critical mechanical, electrical and plumbing systems. A private aft stateroom, forward v-birth that also converts to a salon, and the convertible dining settee provide sleeping for six. Luxurious fully enclosed cockpit comfortably seats eight. She's as beautiful as she looks in the photos! 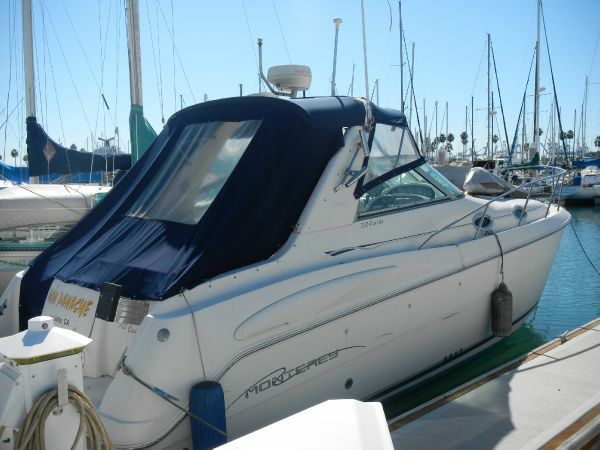 2001 Monterey 302 Cruiser This 2001 Monterey 302 Cruisers is a great family cruiser, has great lines and nice accommodations. The aft stateroom is fully in closed with a solid bulkhead and cabin door. Galley to the starboard side and a dinette directly across from that. Good size V-Berth and head. She can sleep up to 6 people. $5000.00 of outdrive and engine service performed in February 20015 plus new bottom paint. Eisen glass just completed all the way around..Many dollars of upgraded sound equipment and small flat screen included with sale Last one we had of this model sold for 46k and had less equipment plus 4 times as many engine hrs. 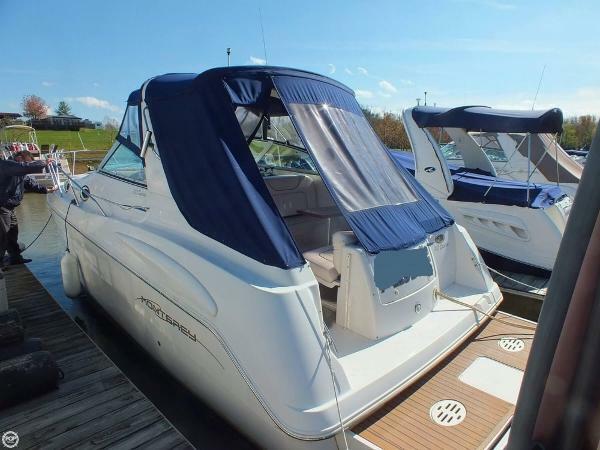 2003 Monterey 302 Cruiser The freshwater use, kept under cover, 2003 Monterey 302 Cruiser equipped with twin Mercruiser 5.0MPI 260hp and Bravo III outdrives is ready for cruising with a family or a couple. The Garmin GPS, Uniden VHF, Rule compass, Lowrance windlass, remote spotlight, AC/HT, Kenwood audio system, enclosure canvas, all make for confident handling at the dock and enjoyable cruising on open water. The helm has a double helm seat with a companion lounge seat to port, aft is the wet-bar with cooler storage, and the two opposing bench seats in the cockpit including a convenient table. From the helm you enter into the salon with a complete galley to port across from the salon bench seat, Vberth forward, private head compartment with Vacu-flush to starboard, and full beam mid-cabin aft with an opening port light. 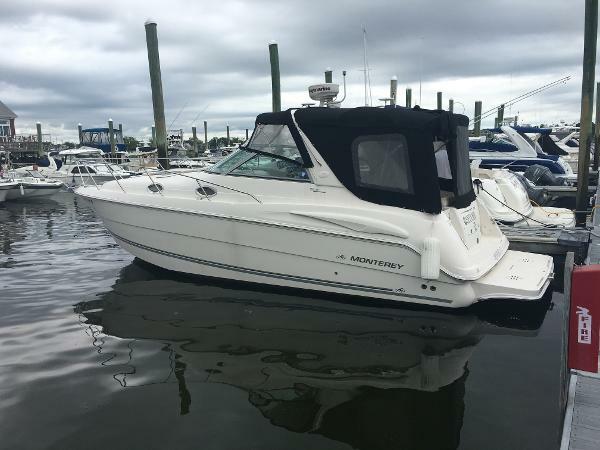 2005 Monterey 302 Cruiser Twin MerCruiser 5.0 MPI Bravo III Engines, 5KW Generator, Anchor Windlass, Air Conditioner W/Reverse Heat, Hot Water Heater, VHF, Stereo System, Full Galley W/Refrigerator, Microwave, Sink, Stove, Coffee Maker, Enclosed Marine Head W/Shower, Bimini Top, Wet Bar, Cockpit Table, Convertible Dinette, Mid-Cabin W/Door, and many more options. This boat is being sold for wholesale money. It is sold as is, where is. The trailer is NOT included, but the boat can be delivered just about anywhere for a reasonable fee. This Monterey is very clean and in operable condition. You are welcome to have it inspected by your own mechanic or surveyor, just make prior arrangements with St. Johns Boat Sales first. 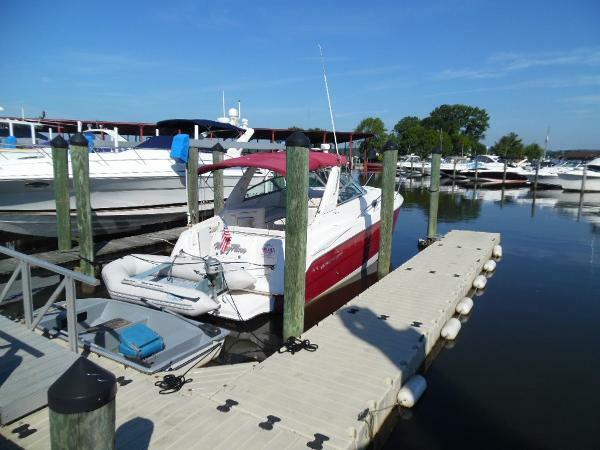 2006 Monterey 302 Cruiser Extremely clean, lift kept freshwater boat. Brilliant red hull, AC, generator, new galley refrigerator, new water pumps for the engines this year, dingy with motor, GPS and depth finder. The owners are motivated. 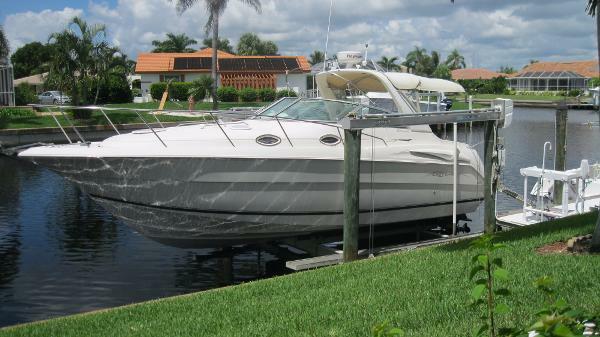 2000 Monterey 302 Cruiser Owner Must sell. Price Just dropped. This is a 2001 Monterey 302. 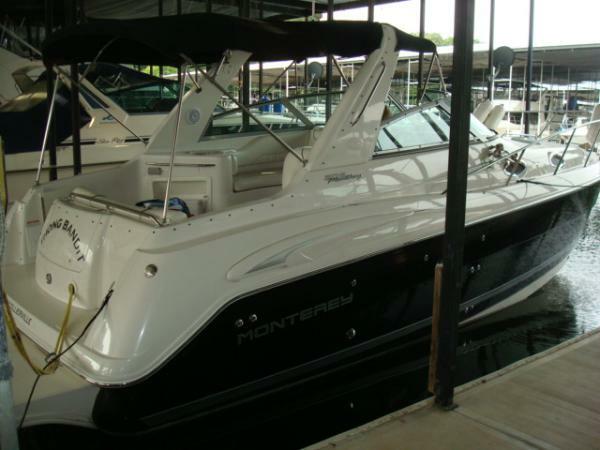 This Monterey is in great condition and has always been professionally maintained and stored in Freshwater. This 302 is powered nicely by Twin Mercruiser 5.7 EFI motors with low hours that have both just had heads redone. Boat is loaded with options to include, New Camper Canvas that has never been used, Newer boat cover, Vacu-Flush Head, Generator, AC/Heat, Anchor Windless, Remote Spotlight, GPS, VHF Radio and much more. This is a very nice boat priced to sell.